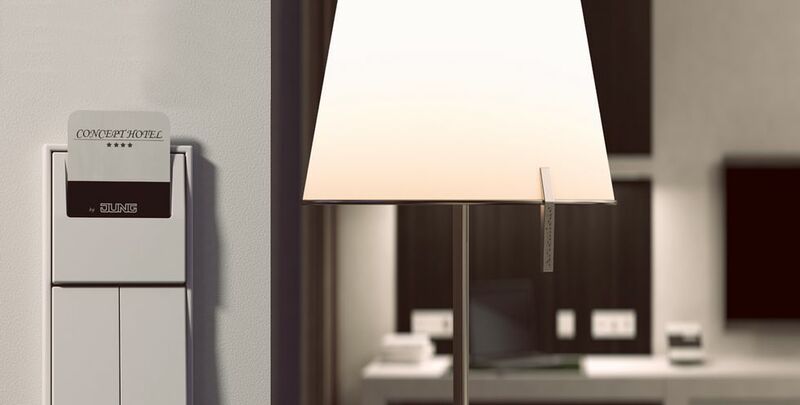 With the compact 24-volt solutions, you enjoy the range of functions in the smallest space: Switch lighting on and off and dim, move blinds and shutters, all in combination with just the press of a button. Upgrade at any time, future-proof, economical and flexible. It can be used from a private flat to a private house up to large properties, whether it is an existing property or being newly built. The JUNG bus is a modern, pioneering and uncomplicated installation solution in 24-volt technology, suitable from an apartment up to large properties. Scarcely any other system can implement bus-typical, convenient functionality more easily.